Delight customers by carrying the right products on every shelf. To stay competitive, retail and consumer packaged goods companies need to apply complex business intelligence (BI) to their SKU portfolio. For some, this kind of advanced sales analysis is out of reach. Increase sales and profitability: Determine the best performing SKUs, optimize product placement, and capture maximum demand. Optimize your operations: Reduce production and supply chain complexity by cutting cannibal products and replacing them with top performers. Delight your customers: Ensure the right products are on the right shelves by understanding which SKUs sell best in every market. Everyone wins! David is an insatiable learner who challenges himself to excel at every outlet and is right at home on the Neal team. 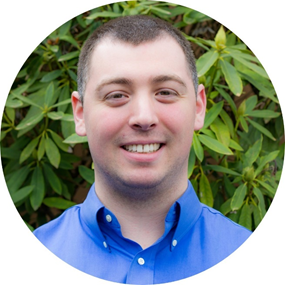 With a MBA focused on Big Data Analytics and BA in Operations Management from Washington State University, David’s experience marries the coding, database and statistical expertise of a BI Analyst with the business acumen needed to convey insights to executive teams. Innately curious, David is most at home asking bigger questions and testing models. David has played a pivotal role in developing world first solutions in the Microsoft space and loves innovating with cutting edge technology. At his core, David is passionate about saving businesses time and resources by doing things right the first time and getting rid of bottlenecks.